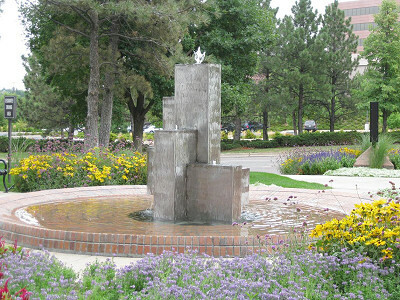 Click For Larger Image - See the "Angel in the Fountain"
This fountain is a large version of my Metropolis design. 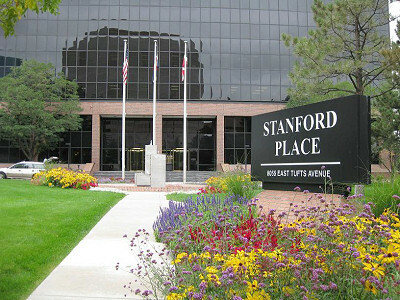 The water feature is made out of Stainless Steel and measures 8' tall x 6' wide; it is situated in a 20' diameter pool. 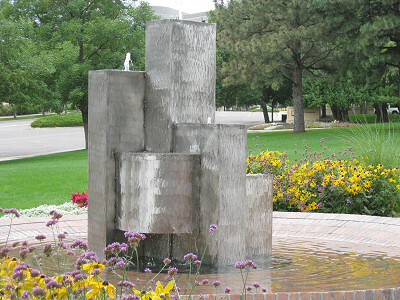 This fountain was created for the front area of an office tower in the Denver Tech Center in Colorado. 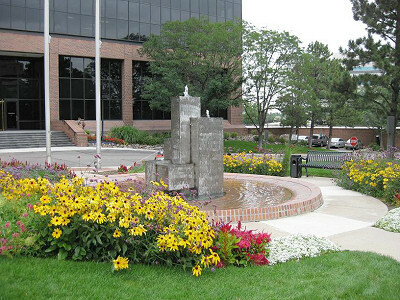 This piece was designed as a retrofit that replaced an existing and outdated fountain. I worked with the existing basin and pump and created this unit to correlate with their setting and infrastructure. I am very proud to be creating fountains of this magnitude. Several years ago I had a vision that I would create large-scale stainless steel fountains, and I think this is the beginning of that dream coming true.